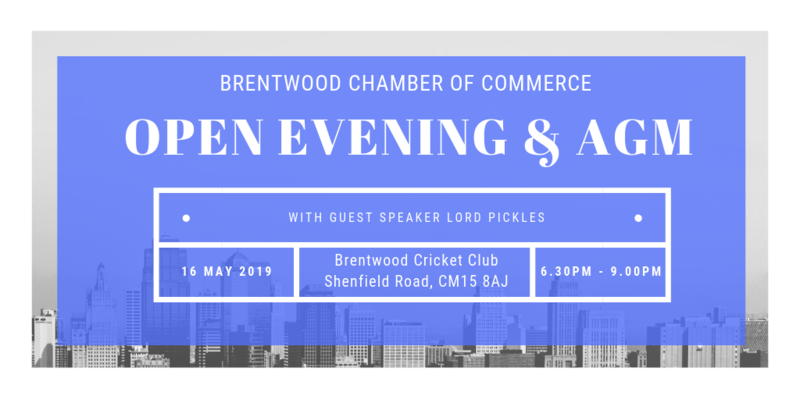 Brentwood Chamber of Commerce is dedicated to respecting, safeguarding and preserving your privacy when visiting our website or communicating with us. This Privacy Notice explains what happens to any personal data that you provide to us, or that we collect from you by whatever means and informs you as to how we look after your personal data whenever you are in contact with us and tells you about your privacy rights and how the law protects you. We do update this Policy from time to time so please do return and review this Policy regularly. For the purpose of the General Data Protection Rules (GDPR)”. If you have any issues in obtaining a copy of the information contained in the Policy, please contact the Chamber Office; details are given below. The Purpose of this Privacy Notice is to give you information on how Brentwood Chamber of Commerce collects and processes your personal data in various forms, including any data you may provide through the Chamber website. It is important that you read this Privacy Notice together with any other notices we may provide on specific occasions when we are collecting or processing personal data about you so that you are fully aware of how and why we are using your data. We only collect data relating to individuals over 18 years of age. Brentwood Chamber of Commerce (collectively referred to as “we”, “us” or “our” in this Privacy Notice) is the Data Controller and is responsible for your personal data. If you have any questions about this privacy notice, including any requests to exercise your legal rights, please contact the Chamber office the details set out below. Data Controller: Specifically, Chairman of the Brentwood Chamber from time to time in post: As at May 2018, Colin Barber. Aggregated Data for any statistical or demographic data purpose. This may be derived from your personal data but is not considered personal data in law as this data does not directly or indirectly reveal your identity. For example, we may aggregate your Usage Data to calculate the percentage of users opening or responding to e-mails. where we need to notify you about any changes or improvements to our service or product, which may affect our service. If you do not want us to use your data for our own or third parties’ use you will have the opportunity to withhold your consent to this when you provide your details to us on the form on which we collect your data. Service suppliers, representatives and agents that we may use to make us more efficient, for example marketing agencies, typing services etc. We do not allow third-party service providers to use your personal data for their own purposes and only permit them to process your personal data for specified purposes and in accordance with our instructions. We do not rely on consent as a legal basis for disclosure of your personal data on those occasions noted in paras. a. and b. above. You have the right to withdraw consent to such disclosure at any time simply by contacting us. We are committed to protecting the data we hold about you and ensuring it is secure, private and confidential. We have put in place robust, physical, and managerial controls to protect the confidentiality, integrity and availability of information we hold about you and to prevent it from being accidentally lost, used or accessed in an unauthorised way, altered or disclosed. In addition, we limit access to your personal data to those employees, agents, contractors and other third parties who have a business need to know; they will only process your personal data on our instructions and they are subject to a duty of confidentiality.